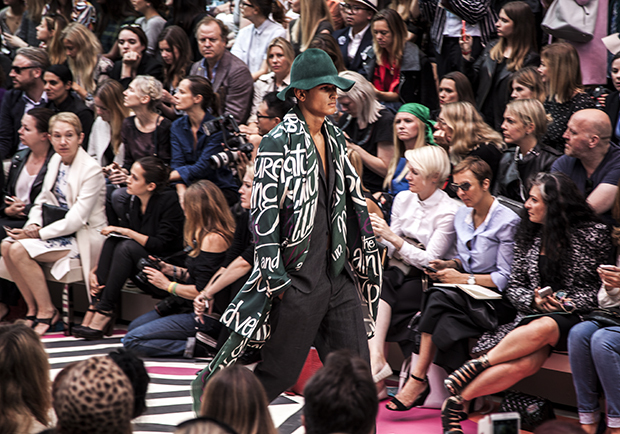 The chicest looks were thrown down the runway at BURBERRY PRORSUM, in fact , the whole entire look of the runway and the tents , build exclusively for the show were painted with the bold colours Christopher Bailey used in his present collection. Several quotes and vignettes were used to illustrate his mood board that scream art , seasons and spring. 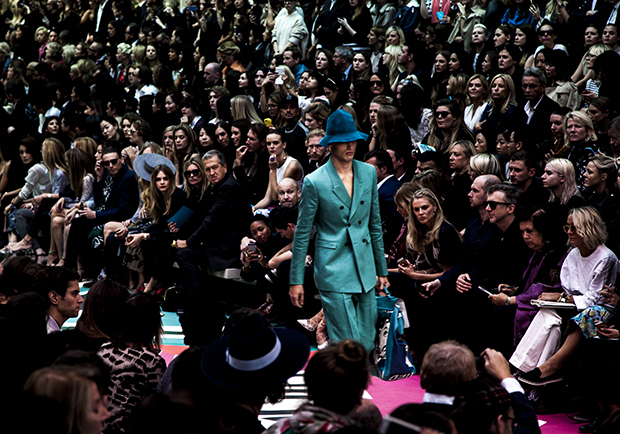 Bold colours are usually very scary and difficult to wear by men, in this case CHRISTOPHER BAILEY makes them provocative and wearable, mixing the universe of the farmers by adding a partiular hat, and the elegance of a double breasted jacket to note an example, and the modern touch comes with the play doh looking green he used in this amazing suit. 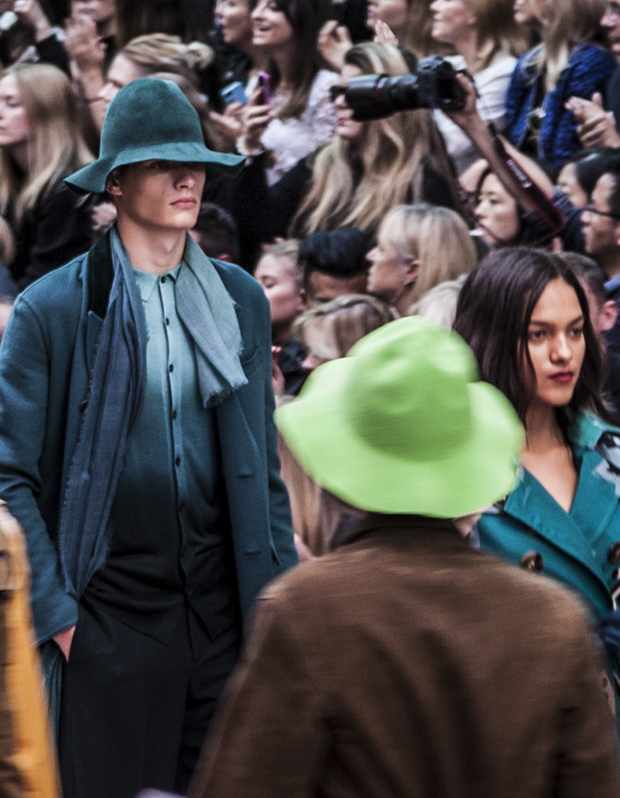 Also the combination of Emerald green and taupe is a killer look , the trench coat with eighties notes, makes a modern impact, and above all unpredictable on what we were expecting this runway, looks fresh and modern , yet masculine and artistic. 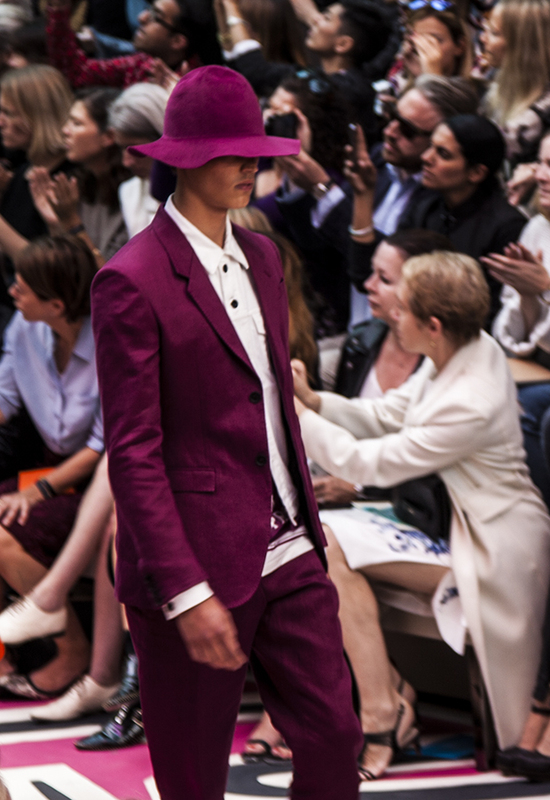 Again, another unexpected hue, the cross between a beet and a schiaparelli fuchsia , so typical in women , and never experimented in mens wear, a total hit, and bold approach to modernity. 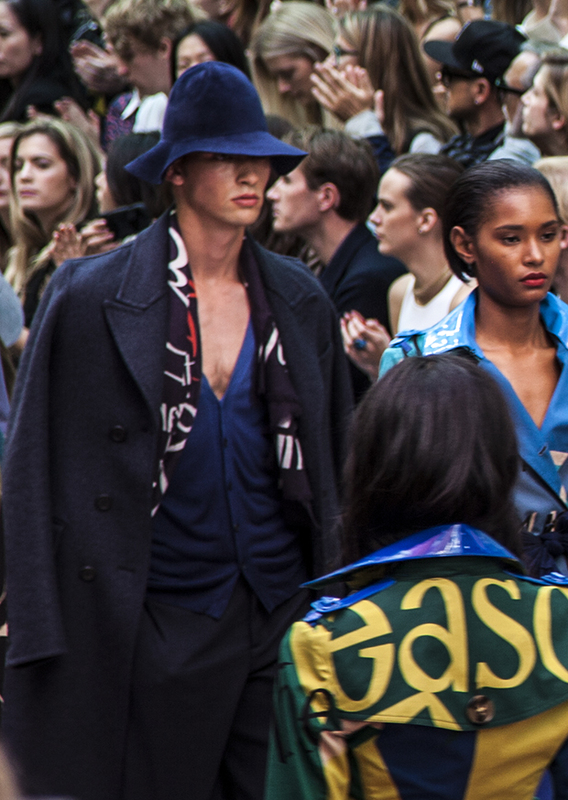 This definitely the season of color for men , and the way it is display makes an statement yet marks a style and strong look for menswear in 2015.